Interested in making our neighborhood better? The South Downtown NRZ has openings for three board members: 1 Residential Tenant, 1 Social Services representative and 1 Open* Elections are this Wednesday, June 21, 2017, 6:00 p.m. at our Annual Meeting. 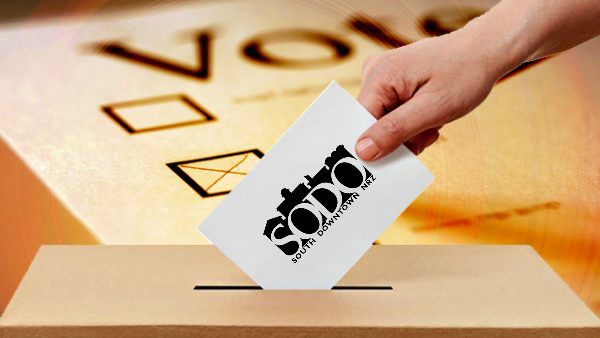 Any prospective Board member must (a) live in or, (b) own property in or, (c) own a business located in, or (d) represent a social services agency located in the South Downtown (SoDo) area. Click here for more information about the NRZ and the neighborhood boundaries. To nominate yourself for election, please send a brief paragraph about yourself and why you are interested in joining to SoDoNRZ@gmail.com by 5 pm Tuesday, June 20.